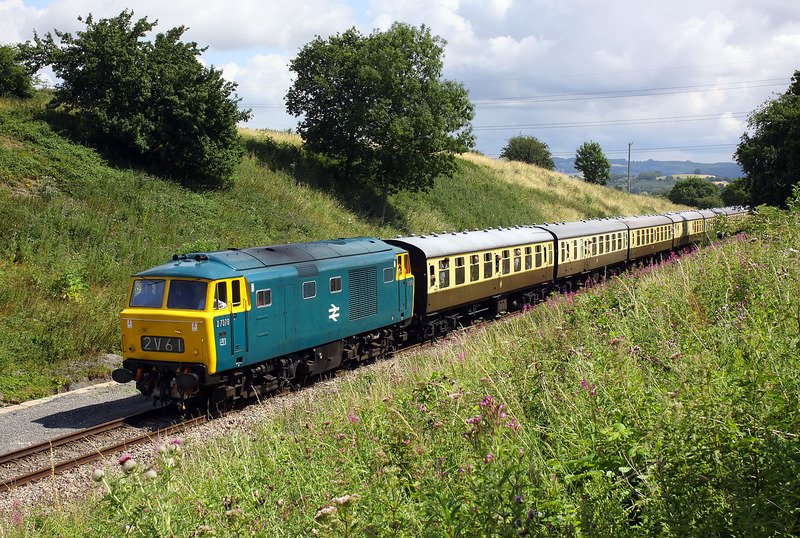 The only visiting locomotive at the Gloucestershire Warwickshire Railway's 2015 Diesel Gala was D7076 from the East Lancashire Railway. It is seen here passing though the cutting at Dixton with the 2C61 (so the headcode is almost correct!) 11:25 Laverton to Cheltenham Racecourse service on 25 July 2015.